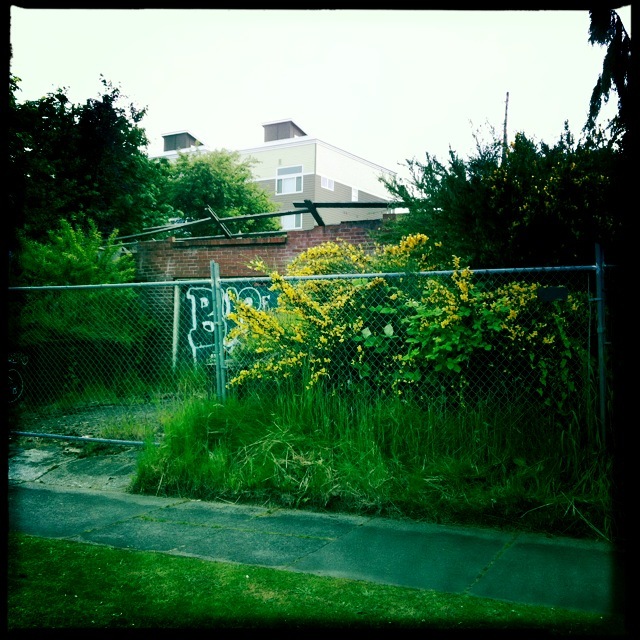 I’ve been meaning to stop and snap a photo of the mostly vacant lot in the 2100 block of Pacific Avenue. Today was the day. I put my lens through the chain link fence and snapped away. While writing this up, I thought I’d find some interesting story, but no, not really. Obviously there had been a building, most likely a house, there at one point and the current owners are both protecting their property and potential liability by fencing off the remains. But that’s about all I have. I’d also like to know more about the Bugeye ftb graffiti. I can find other references to Bugeye, but not the origin. Odd. 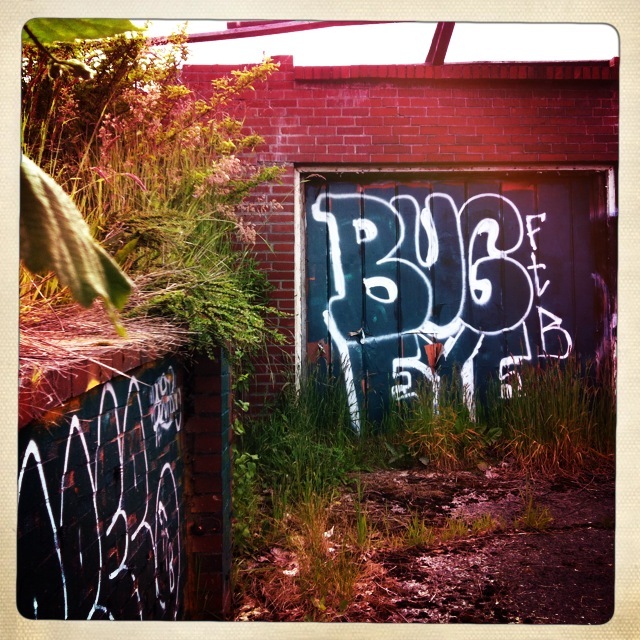 This entry was posted in Their future is in question and tagged brick, bugeye, destroyed, ftb, graffit, Tacoma, Tacoma Avenue, vacant on June 6, 2012 by admin. Bugeye is the new tag name for a guy who used to tag Trust No 1. He is based out of Bremerton but tags Bremerton, Tacoma, Olympia, and Seattle. He has a couple differnt styles. You’ll also see him up as BB. He is part of the fading away crew of FTB and newly joined DFS.